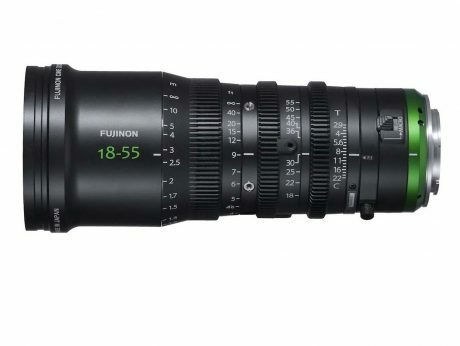 The Fujinon MK 18-55mm T2.9 Zoom Lens is an E-mount lightweight wide cine style Super35 zoom lens. It has three geared manual rings for precise control of focus, zoom and iris which can be attached to a follow focus or electronic lens control motors. It has an adjustable macro ring for close focus and adjustable back-focus.